Tanagra Dance Ensemble from Barbara Derecktor Donahue on Vimeo. 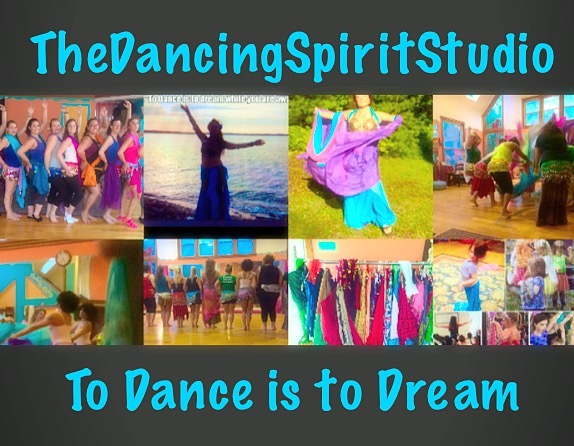 The Dancing Spirit SOAH 2012 from Barbara Derecktor Donahue on Vimeo. The Dancing Spirit Studio Tiverton Tapestry Belly Dance Arts RI Community Show Weekend from Barbara Derecktor Donahue on Vimeo. Teen Belly Dance Classes from Barbara Derecktor Donahue on Vimeo. Bodacious Ensemble Feb 23,2013 from Barbara Derecktor Donahue on Vimeo. Bodacious Ensemble 6 Dancers for BOON DOCKS from Barbara Derecktor Donahue on Vimeo. Core Belly Dance Arts Training from Barbara Derecktor Donahue on Vimeo. Barb RAMBLE -Belly Dance Grabs You ( someday a book ). There is never enough time, maybe especially for performing artists who always want to practice one or ten more times before a show. I always do. It is my Dharma of Mid East Oriental Belly Dance to create shows, group dances magically (feels much of time), quickly with a mix of people all ages, talents,levels. My motivation is always to share Belly Dance. When I fell in love with Belly Dance I wanted to share it with the world. In the beginning I had many different, wonderful groups.Then I was a long time soloist. Being a soloist is amazing but it can be lonely. Many solo dancers eventually form troops. Forning a troop with a full evening repetory is one of my goals. The DANCE is not for everyone. BELLY DANCE is a TAPESTRY. It can be learned by absolutely anyone BUT it is as challenging as BALLET for well trained dance artists. Each move or prop can be practiced as many times as a tondue or piroette to get it RIGHT especially Egyptian style. I have taken many workshops with many amazing teachers. I never had ONE teacher who taught me pure Egyptian dance. In my pursuit of the TRUE dance I learned many styles. I became and am a fusion tapestry dancer. Each Belly Dance teacher, of each style or culture has so much information. I traveled to Turkey for the dance but not to Egypt . If I had gone my dance would be very different. RULES I love rules that require working towards high standards but I also like to break every rule and recreate everything anew . PROPS. Learning how to dance with a veil skirt, sword, zills, chamadan or snake is challenging. Belly Dance is Ballet with a funny name. For a ballet, modern, jazz, tap dancer,teacher to understand Belly Dance they must take a class to understand what it is. I know if every ballet, modern dancer, teacher, woman or man who loves to dance took a Belly Dance technique class ,danced with a 3 yrd veil, cape, gypsy skirt or hip scarf it would expand their dance world. KIDS I love teaching kids, ( I taught ballet, modern, creative movement for years) but most parents don't think Belly Dance is for kids which is too bad. It is wonderful training for kids just like all dance is. I wish I had studied Belly Dance as a kid or in college . SOCIAL MEDIA I am a social media savant sharing Belly Dance passion. Ballet needs no explanaition. FB, Twitter, Linkedin ,Four square,Yelp, Google+,Tumblr , Pinterest,Vimeo,Youtube, ,Thumbtack,Viadeo, Hipmix ,Gravatar,,Behance, Pinterest, Instagram all for Belly Dance.